The sun is shining, the breeze is still cool enough to enjoy and the gorgeousness of Spring/Summer goodies have been calling my name now for a while!! I can't wait to start making pretties to suit the new seasons! 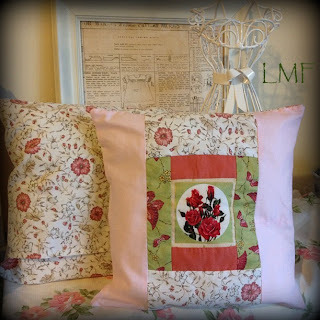 To celebrate the beauty of Spring, I have a 'Vintage Bloom' Patchwork cushion to giveaway to a lucky fan! For a chance to be in the running to have this little cutie arriving at YOUR door for free, simply follow the steps below and enter in the Rafflecopter! GOOD LUCK!!!! 1. To gain 2 entries share this giveaway with your friends and family. To do so click here and 'public share'. (To public share, select "Share" and then choose the public option to make sure I can see it). 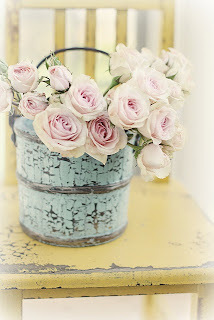 In your status type "Little Miss Fascinated wants to say thanks with a Spring Giveaway! Head over to the blog & find out how!" AND you can do this once a day!! Once you have done so scroll down to the bottom of this post to the Rafflecopter application and log in to access your entries! I will check that you have shared so please don't click 'done' unless you really have done so..
3. How about another entry?! Simply leave a comment below on this blog post!